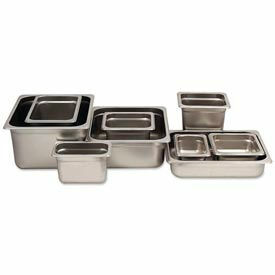 This 20-3/4"L x 2-1/2"H steam table pan is made using 25 gauge stainless steel for lasting durability and strength. 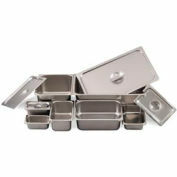 Full perimeter anti-jam ridge prevents pans from sticking together when stacked during shipment or storage. NSF® certified.